I am a huge fan of Chris Jordan’s work! Thanks for another informative post. The rate that we are poisoning our oceans really scares me…. Here in Hawaii there are 1000s of pieces of tiny colored plastic that wash up on the beach. It is so sadly surreal knowing that there is a human story behind each tiny piece. 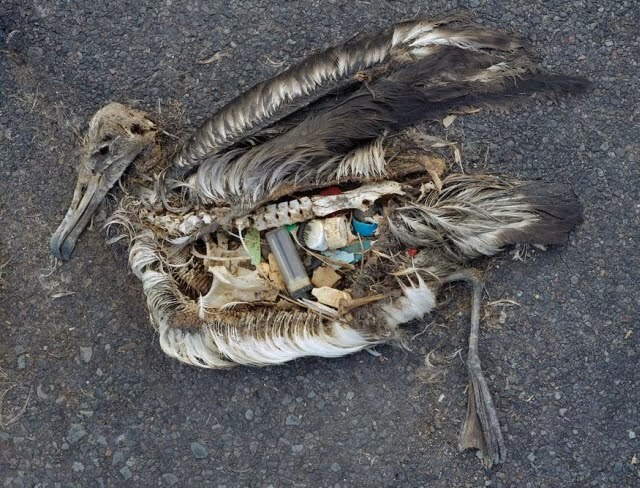 Seeing the photograph of the inside of the baby bird’s insides filled with plastic is a shake up call for us all here on planet Earth.